If you have a diary or story, which you would like to share I would like to receive a copy! �	Writing an essay on WWII? The Jittery Monks offer the finest college essay writing services for history papers and more! If you have developed a web page and no longer have the time to maintain it, don't abandon it! Please consider extending it's life by contributing it to this site! I was once told that some men were taken to a slaughter house where some sacks were filled with warm blood. They were then told to stab them to help condition the trainees to the feeling of blood. The person who mentioned this to me claimed he became good with a knife. Would anyone have any comments on this claim. 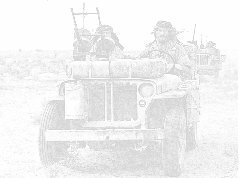 World War II essay writing help is available at CustomWritings.com. 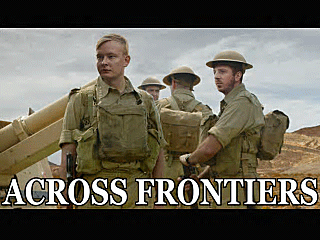 Across Frontiers is a short film which follows two young British prisoners of war, Ernie and Harry. It tells the story of the Italian Contadini, brave families who risked everything to aid and shelter fugitives whilst under German occupation during the second world war. The film is based on the director's great grandfather and his experiences as an escaped POW in Italy. Help us tell the story of the brave Italian Contadini during WWII with a 30 minute film! My Dissertations - help with dissertation. Our thesis service is created to help students around the world. Myhomeworkdone.com. The name says it all. Well we were just in on sabotage, we went in to get an ammunition dump at ...Trumly?.... and we got it. Did she ever go with a bunch of sparks too. But its right on the water, its a fort. Old, old fort. Answere- yeah, there was only about 7 of us, I think, and we dropped, we jumped. Going to war is not a choice. When tyranny begins to grow and spread, as it always does, someone must stand to stop it. More information about this site! © Copyright notice: All work on these pages are the electronic property of their respective developers. Images have either been created or modified for use on this site by associates. Original and historical pictures are the property of each, with the hours of image resampling required to bring them to the web ours. We ask you to respect this fact. Information has been created and researched by associates and is not open for copying and re-naming without permission. We have not knowingly used any images created by someone else, with the exception of those paid for as part of an 'image package'.